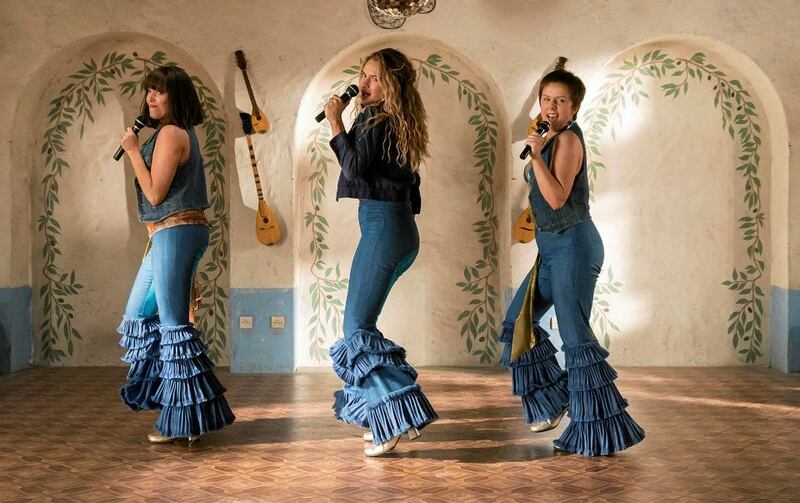 The sequel to Mamma Mia has finally arrived and we've only waited 10 years. 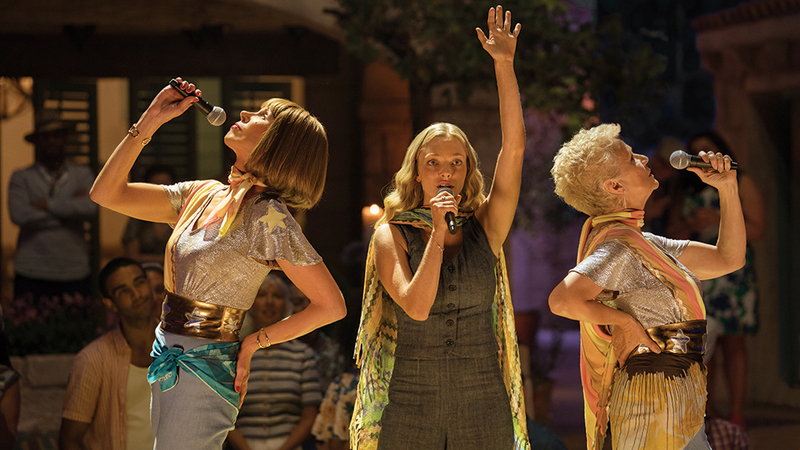 Mamma Mia 2: Here We Go Again is amazing. The film picks up a number of years after the first but we're not quite sure how many. The whole story is very loose on specific details, but it turns out Donna has died. I don't think it's too much of a spoiler because it was made pretty clear in the trailer but I thought it would explain how in the film...but no. Despite some of the details changing between the first and the second film, I didn't care. I loved seeing Young Donna and her 3 love's. I thought it was absolutely hilarious and care free and all of them were beautiful in their own ways. I loved Harry's awkwardness, Bill's feminism and Sam's romantic nature. They all have a special place in her heart and it's obvious as to why. 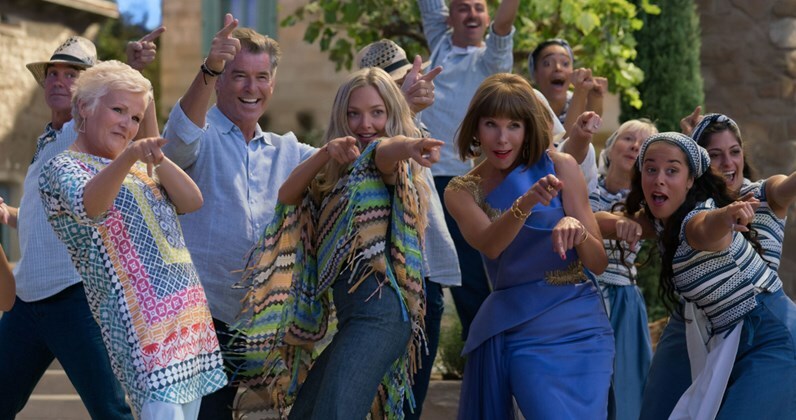 Donna's friends still come back from the dream opening on the newly refurbished hotel and it's nice to see their connection to Sophie, even without Donna still being in the picture. Of course, all my favourite scenes were the throwbacks and I was amazed how perfectly they fit with the scenes in the present. I especially loved the dances as a group. The director uniquely chose to allow Tanya and Rosie to be identifiable by keeping the same personality characteristics and most of all the hair cuts! 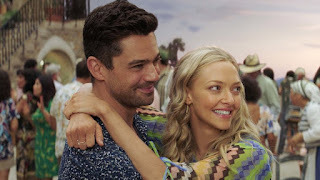 The start of Mamma Mia and the end of the sequel are beautifully poetic and the resemblance is purposefully uncanny. The symmetry concluding makes the bond to Donna so special and I loved the final scenes of Donna being pregnant and giving birth with the support of the land owner. The only negative feedback I have is that I hated Cher's appearance. I thought it was unnecessary and added nothing to the film. In fact, I felt it dragged out scenes that could have been kept simpler and so much neater. It's a shame the franchise placed so much power in her hands because of her reputation when it actually ruined the end of the film for me. Having said that, overall I absolutely loved the film. It made me deliriously ecstatic and I left a happier person. 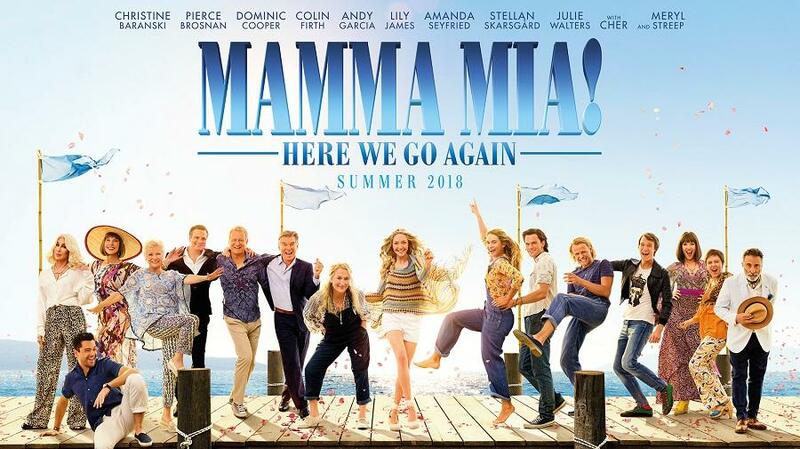 Without a doubt, it's my favourite musical film. I've been listening to the soundtrack on repeat and it's been amazing to picture the scenes from the film. 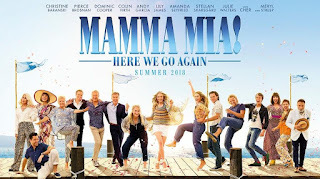 Unlike most sequels, I genuinely feel like this one outshines the first. It's so much better than the first! Have you seen it? If not, go now. RUN!